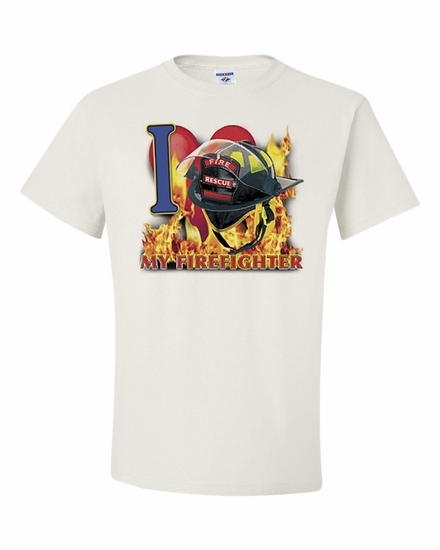 Your special fire fighter will love their new shirt! I Love my Firefighter t-shirts and sweatshirts are available in many colors, sizes, and styles. An I Love my Firefighter coffee mug will have them thinking of you all day long. Remember� you found the I Love my Firefighter Shirts at TShirtHub.com, where high quality came at a low price.